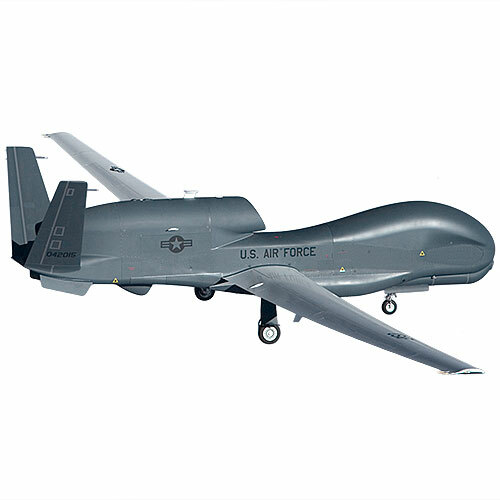 The Global Hawk is an unmanned aerial vehicle that's used for high-altitude, long-duration surveillance. 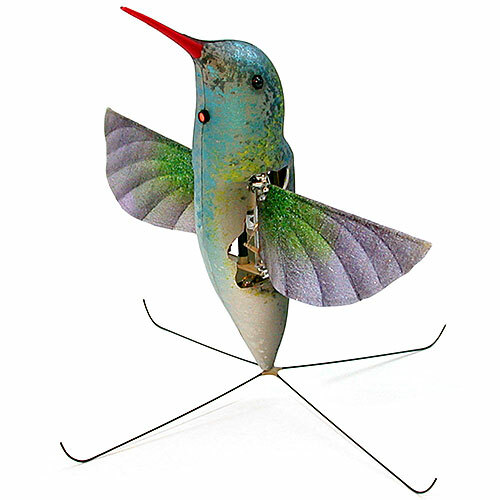 You tell it what to do, and it can take off, fly, spy, and return without any human input. 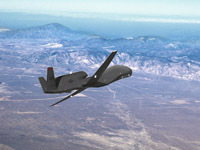 Global Hawk, flying and spying. 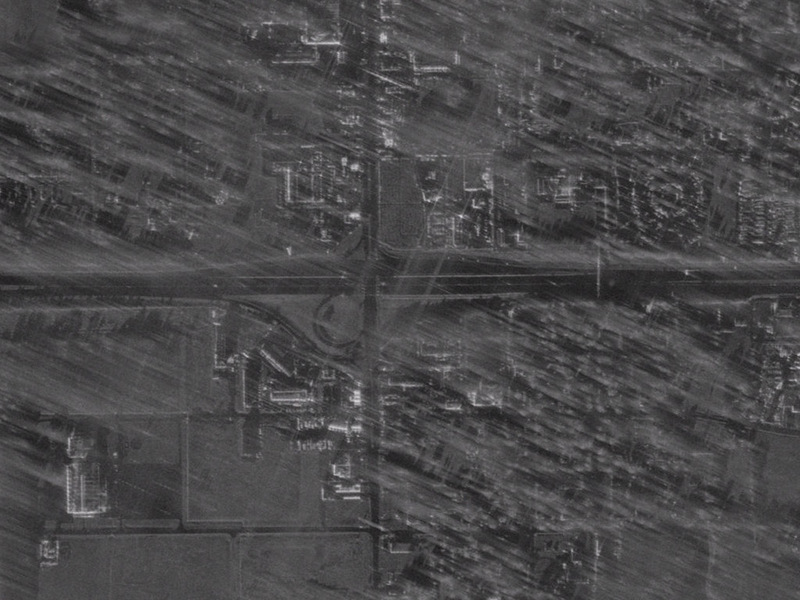 A Global Hawk aerial view of Hurricane Ike in 2008. 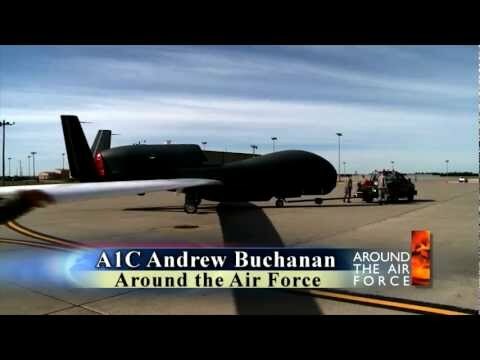 Global Hawk featured on TV show. 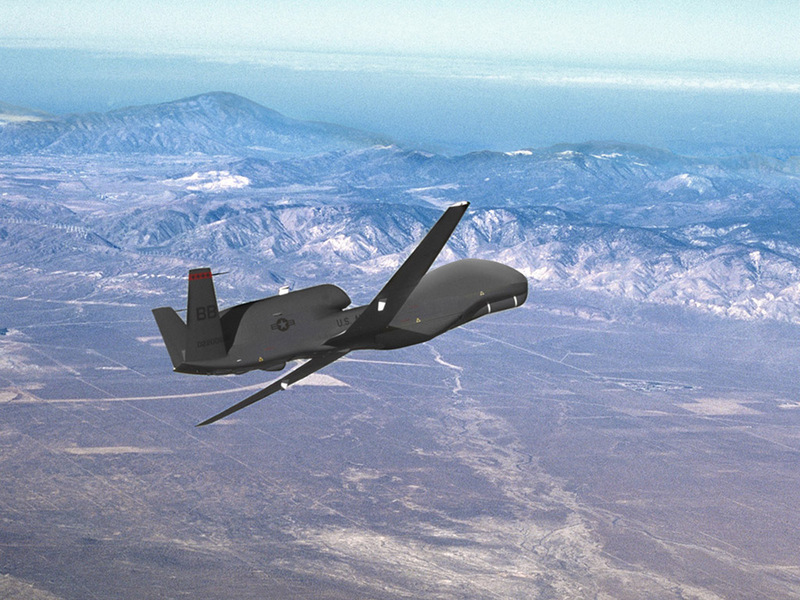 New Global Hawk completes its first flight. 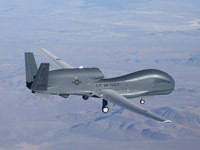 U.S. Air Force Global Hawk pilots graduate. NASA has its own Global Hawk that it uses to spy on the ocean and the atmosphere. 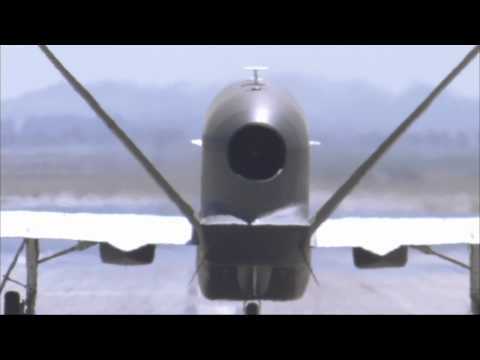 The Global Hawk carries no armament. 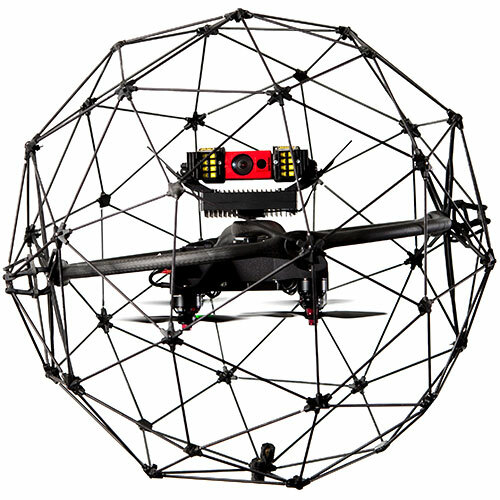 Flying it requires a crew of three (two pilots and a sensor operator). There are currently 20 Global Hawk UAVs in operation. Able to fly halfway around the globe and remain on station for long periods of time. 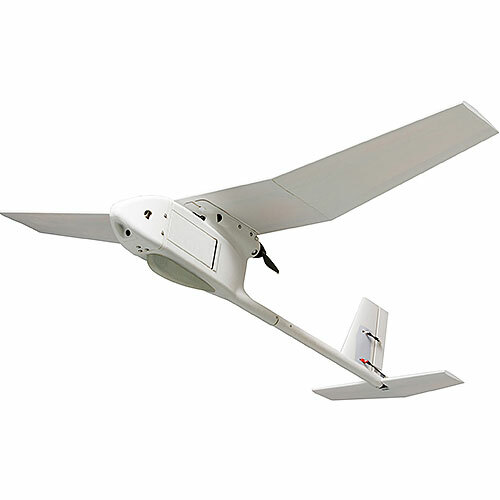 Capable of capturing high-resolution, near-real-time imagery. 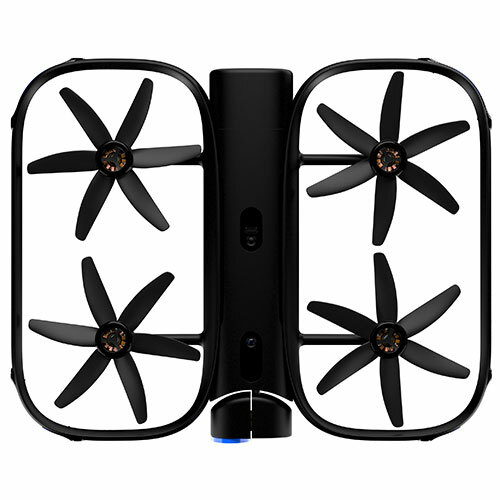 All-weather synthetic aperture radar, high-resolution electro-optical digital camera, infrared sensor. On-board secure computing and communication system with Ku SATCOM Datalink, CDL LOS, UHF SATCOM/LOS, and INMARSAT. Lightweight, high-strength composites for wings and other parts. Standard aluminum for main fuselage.